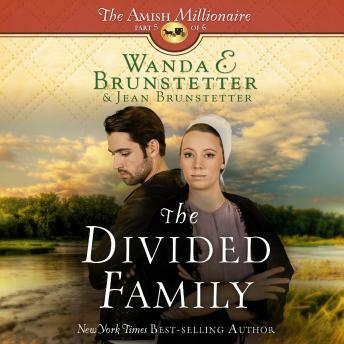 Wanda E. Brunstetter is back with a thrilling six-consecutive-month release of a brand-new Amish serial novel written with her daughter-in-law Jean Brunstetter. Set in Ohio’s Holmes County, the Brunstetters introduce a unique Amish family to their fans. It’s Brother Against Sisters When a Father’s Estate Is in Limbo In the midst of grieving their father and settling his estate, the Byler family faces some of life’s hardest challenges — sickness, disaster, loss. When Joel should be stepping up as the man of the family, his selfish determination continues to cause chaos. Can the family pull together, or will the prodigal son defy his father’s last wish and part the family for good?